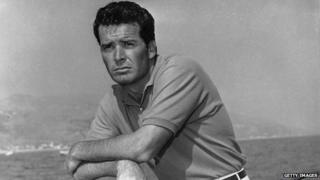 James Garner, the US star of hit TV series The Rockford Files and Maverick and films including The Great Escape, has died aged 86. Garner had suffered ill health since a severe stroke in 2008. "Mr Garner died of natural causes," the West LA Division of the Los Angeles Police Department told the BBC, adding he died on Saturday and his body has been released to his family. His publicist confirmed to the BBC that he died at home. Garner famously played the laconic private investigator Jim Rockford. He won an Emmy for the role in 1977 and starred in 122 episodes of the hugely successful show from 1974 to 1980. He returned to it in the 1990s with eight Rockford Files TV movies. Another role, as the poker-playing Bret Maverick in the Western comedy, was also a hit with TV viewers, running for 60 episodes from 1957 to 1962. It ran again for another 18 episodes from 1981 to 1982. Richard Natale of Variety said that the role of the laid-back, work-shy Maverick fitted "his wry personality like a glove". However he left the show following a legal dispute over his salary with Warner Bros, which he won. The TV show was later made into a film in 1992 starring Mel Gibson and Jodie Foster, but also starred Garner - this time on the right side of the law, as Marshal Zane Cooper. In 1963's iconic World War Two film The Great Escape, Garner played flight lieutenant Robert Hendley, an American in the RAF, alongside Steve McQueen, Richard Attenborough and Donald Pleasence. The film depicted the daring escape by prisoners of war from the German Stalag Luft III camp through a 336ft (102m) long tunnel. Only three reached safety and of the 73 recaptured, 50 were shot. Hendley's role in the film was as the "scrounger" who managed to get hold of identity cards, clothes and a camera. Garner later said that he had based this role on his real-life experiences - also as a "scrounger" - during the Korean War with the US Army. He also had success with films including Grand Prix in 1966, a fictional account of the Formula One season featuring actual racing footage. The actor went on to be Oscar-nominated for best actor in 1986 for the romantic comedy Murphy's Romance, co-starring Sally Field, in which he played a small town pharmacist. Other leading ladies included Doris Day, who he starred with in the 1963 screwball comedy Move over Darling, and Julie Andrews, his co-star in gender-bending comedy Victor Victoria in 1982. In an interview on US TV in 2002, he told Charlie Rose: "John [Sturges, Great Escape's director] was a great director and editor and he got the most out of his actors. I don't know how he did that, I think it was just a pat on the back and that sort of thing." He also admitted that he was "always nervous" when acting, adding: "Keeps me on my toes. I've never been that confident, I don't have the background in acting. "Some people do, they went to all these classes. A lot of people say you have to have this foundation, you have to have all the great teachers and all the great theory. I don't think so. "When I was 25 when I first started acting I'd been around the world a little bit. I'd travelled in a lot of different societies. I felt I knew as much as any of these actors who'd been to acting school." Garner, who was born in Oklahoma and brought up by relatives after the death of his mother and the subsequent absence of his father, left home after trying various jobs before fighting for the United States Army in Korea. He was injured in 1951 but he had to wait until 1983 to receive his medal, the Purple Heart. Acting began for Garner when he landed a nonspeaking role in the 1954 Broadway production of The Caine Mutiny Court Martial. It starred the eminent Henry Fonda, who was closely studied by his young cast-member. He went on to win a role in the 1956 film Towards the Unknown, about early supersonic flight experiments. Garner went on to be nominated for nine Golden Globes for shows including The Rockford Files in 1980 and Maverick in 1982, having won in 1958 for most promising newcomer. He also won a further two for TV series Decoration Day  and Barbarians at the Gate . He also starred with Sandra Bullock and Ellen Burstyn in mother-daughter drama Divine Secrets of the Ya-Ya Sisterhood, in 2002. From 2003 to 2005 he was in 45 episodes of US comedy 8 Simple Rules. In 2005 the veteran star was given a Screen Actor's Guild lifetime achievement award. Garner married his wife, the TV actress Lois Clarke, in 1957. They had two daughters, Kimberly from her previous marriage, and their daughter Greta.